I'm not sure how common the Friday Fish Fry are over the country but at least in Minnesota and Wisconsin they are a staple to start off the weekend. 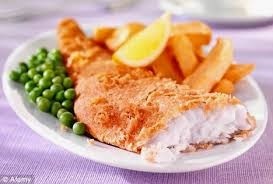 So in honor of that we are putting our own spin on the Friday Fish Fry but in our case the Friday Fish Bake. Enjoy this fantastic yet healthy recipe.